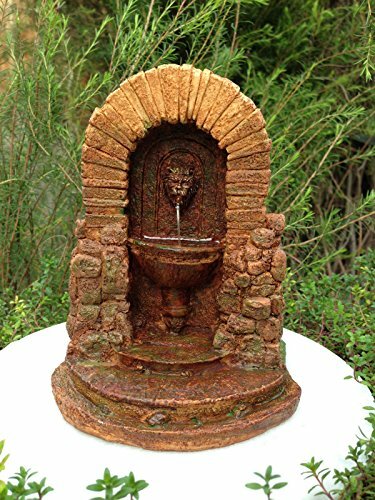 Miniature Dollhouse Fairy Garden Furniture Aged Resin Fountain | Fountain City Art Ctr. Great statement piece for your dollhouse or fairy garden ~ resin "water" pours from the lion's mouth. Measures 5?" High, 4" Wide and 3" Deep. Non-toxic, does not pollute the microscopic plants.